Sydney Harbour is a place to be when in Sydney, Australia. The Sydney harbour is a tourist’s haven. It has all the interesting attractions and sights. Learn about the important places and get to experience each tourist attraction. 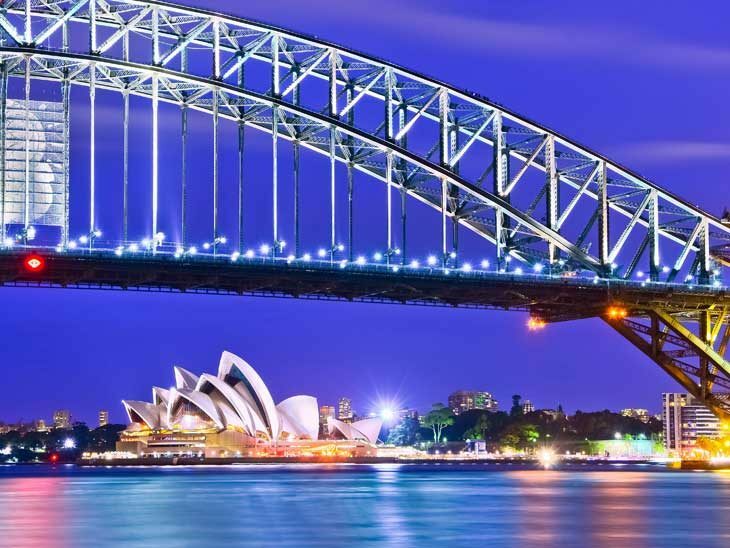 If you are planning a tour, here are 5 activities you can enjoy while in Sydney Harbour. The harbour was named after Lt. Gen. Ralph Darling, the first governor of New South Wales. The harbour is alive with bars, cafes and many places of interest like the, Sea Life Sydney Aquarium, Australian National Maritime Museum, The Powerhouse Museum, and the Wildlife Sydney Zoo. You can also go to the 9D Action Cinema which is said to have the world’s largest screen are but a few of the attractions the Harbour has to offer. This is one of Sydney Harbour’s most well know icons. Take the guided tour through the theatre and know about its history and stories about the centre’s history, the inspiration behind its creation and get to tour through the off limits areas and wrap up the visit with a tasting plate from the Opera Kitchen. If you have a fear of heights, then this is one way of curing it. Go on the Harbour Bridge Climb and see the sights of Sydney from a height of 440 feet. You can do the climb any time of the day, each of which provides a breathtaking and a dizzying view of Sydney Harbour, the Blue Mountains, the Sydney Opera House and more. Get to experience the thrill of Sydney Harbour in style and comfort on a cruise boat. See the Sydney Harbour Bridge, Fort Denison, Garden Island, the Admiralty House, Luna Park and the Opera house and discover their rich history through their stories as you cruise along the Harbour. Get to watch Australia’s diverse aquatic wildlife at its best at the Sea Life Sydney Aquarium. The spacious state of the art viewing tanks is home to more than 13,000 aquatic creatures that are part of the aquarium’s breathtaking exhibits. The aquarium has 14 themed areas like the Shark Walk, Tropical Bay of Rays, Discovery Rockpool, South Coast Shipwreck, and the Great Barrier Reef exhibit. Other attractions include the dugongs in the Mermaid Lagoon, their impressive array of sharks and you can also go on animal feedings and listen to the keeper talk about the animals in the aquarium. These are just some of the interesting sights that Sydney Harbour has to offer. The harbour is truly a tourist’s paradise. Here is where you will find a lot of splendid places to visit and explore things to do and interesting people to meet.